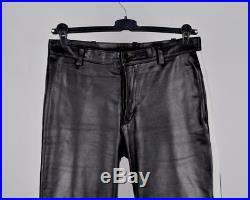 Helmut Lang Men’s Lamb Skin Jean, Size: 30 x 32, Skinny Fit. 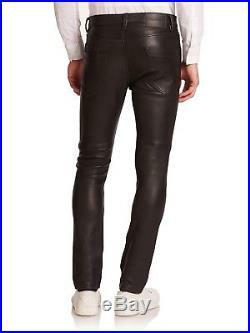 This exceptional quality lamb skin skinny fit jean is made of buttery soft leather with a bonded cotton knit lining for exceptional fit and product shape retention. This item has been stored in a clean , conditioned and smoke-free environment at all times…. 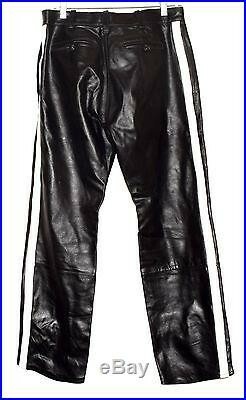 Item for sale is 100% genuine Helmut Lang Leather Men Pants. Black/white sided leather stripes. (An actual color may a bit vary due to individual computer screen interpretation). 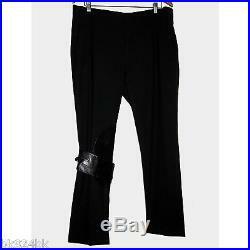 These pants are great quality item. Rate 9 of 10, excellent condition. 42 cm or 16 1/2. 82 cm or 32 1/4. 108 cm or 42 1/2…. O R I G I N A L G U A R A N T E ED. M E N A N D W O M E N H I G H E N D C L O T H E S AND ACC. 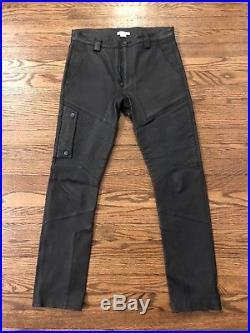 Helmut Lang Men Pants. 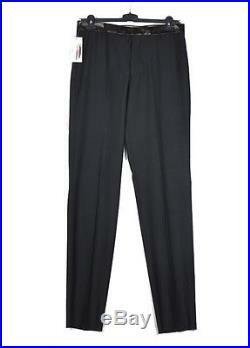 Label size: 48 EU, see measurements below….